BRYAN EATON/Staff photo. 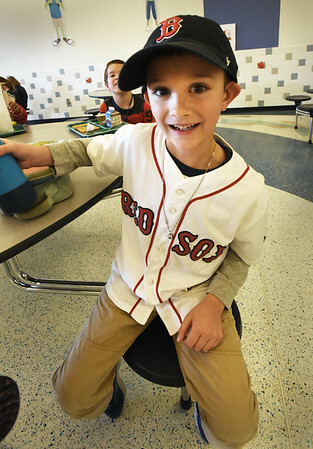 Bresnahan School first-grader showed off his Red Sox pride during lunch at the Newburyport School. He stayed up to watch a lot of the final game of the World Series but had to go to bed.